The Hayden Tote is the ideal stylish convention tote. 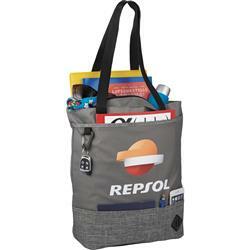 Has a zippered main compartment with a velcro front slash pocket for easy access. Features phone and organizational pockets along the base of the tote. Has a D-Ring an additional corner detail ideal for hanging keys or a water bottles. 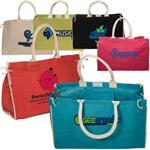 Get this tote for your next trade show or convention! Available Imprint Options: Screen, Deboss. 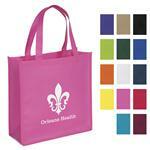 Full Color Transfer is available and is additional. Please Inquire!